The Mamma Mia! Here We Go Again actress wants her family and friends to celebrate her death rather than mourn her. Which is why, for her wake she wants them to go to Paris and enjoy themselves in the French Capital. 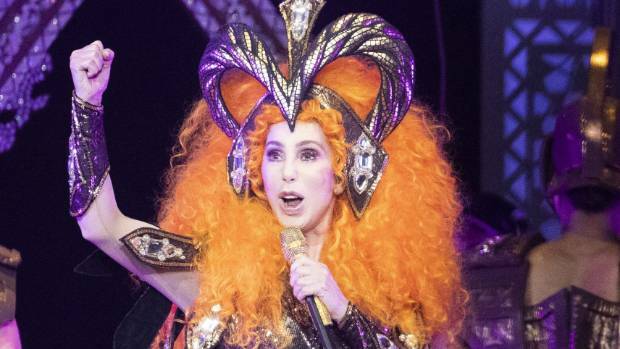 Cher has announced that she will buy tickets for everyone to go to the City of Love and throw a party in her honor instead of sitting around and moping. The star is not worried about leaving behind a legacy. When interviewed, she seemed happy with the music she has already recorded and the movie that she has starred in. Cher believes that that will be enough for people to remember her by. She recently released her new album that contains tracks of her singing Abba covers on Friday, 28th of September 2018. In other news, the 72-year old has crossed off one thing from her bucket list. Cher confessed that kissing Meryl Streep, Mamma Mia! co-star was on her to do list before dying. At the film’s premiere in London, in July, the actress was successful in going through with it. Recounting the event, Cher said that she was wearing ten-inch heels at the premiere, when Meryl came up from behind her joking about Cher’s height increasing in a day. After laughing that off, the star recalls that she just asked her co-star to kiss her and she did. Though she later felt a little embarrassed, Cher admitted that Meryl has a great sense of humor, so she was not bothered.